Great canoe for day, weekend, and multi-day exploratory trips. Amazing way to fish, camp, and get away from the crowds. I am an avid backpacker and hiker, and at one time was extremely proud to be able to go for 10-14 days with only a 45-50 lb pack. One evening, after a few drinks at a bar/pub in Leadville, CO, a local outdoorsman mentioned he recently went out for 10 days and packed 4 thick-cut ribeyes, 6 bottles of wine, 2 bottles of champagne, 1 bottle of top-shelf tequila, cheese, bread, 18 real eggs, 2 lbs of bacon, real ice (and even 10 lbs of dry ice) PLUS fresh fruit and veggies. Then to add insult to injury, he commented he covered over 20 miles a day. Oh, and he did it sitting on his posterior...in a canoe. He had an Old Town Discovery 169 canoe. Then he added, "In the 4 years I've owned it, I've wrapped it around a tree, ran it up on several huge river rocks, and it even fell off my truck when I was driving down the road! And it's none the worse for the wear!" 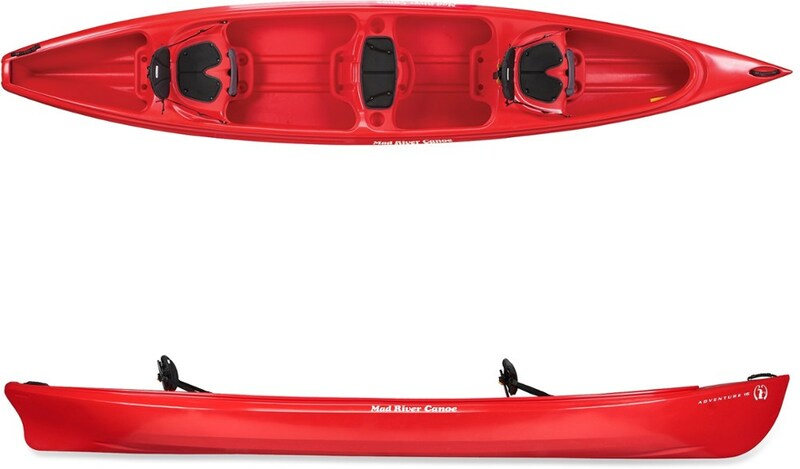 I bought a red Discovery 169 canoe three weeks later, and it has been one of the best purchases I've ever made. 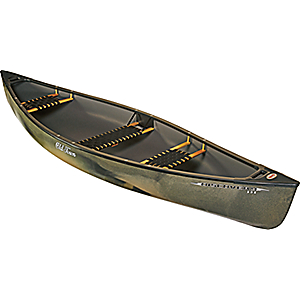 The 3-ply construction is virtually indestructible, and the canoe design is extremely stable. One person can easily paddle this boat—as long as there is no real wind and you know how to load your gear. However, wind can be a HUGE problem, and wise people bring books to read (on shore) in the event the wind picks up over the water. The Discovery 169 is quiet, allowing you to approach wildlife you would normally not see if hiking. Fishing is real pleasure, as is picnicking and shore camping. No more freeze dried foil bags, MREs, or "gram weenie" powerbar concerns when you own a canoe and you can enjoy many shorelines most others cannot reach by car or trail. Canoeing is amazing exercise, good for the soul, allows you to reconnect with nature, and if you love the water it's a no brainer. FYI, Although I am NOT affiliated with Old Town Canoes NOR top-shelf tequila manufacturers (or distributors) ... that would be a great way to make a living! Now, go out and make me proud! Your review made me smile, Matt! Thanks for sharing it on Trailspace. I have owned one for about 20 years and don't have any complaints with the exception that it is too heavy. It has proven to be a dependable and durable canoe. The abs hull is very tough and slides over rocks instead of sticking to them. It is nice and stable (initial stability) yet can handle class 3 rapids. An excellent canoe for river canoeing and camping. I've owned a Discovery 169 for over 20 years. It has proven to be a durable canoe. The thick abs laminate plastic is strong and has a memory. If you get a dent in it you can lay it out in the sun or heat it with a hair blower and the hull returns to it's original shape. I haven't put any dents in mine so I can't attest to that. It does slide over rocks in the river while the aluminum and fiberglass boats tend to stick to the rocks. 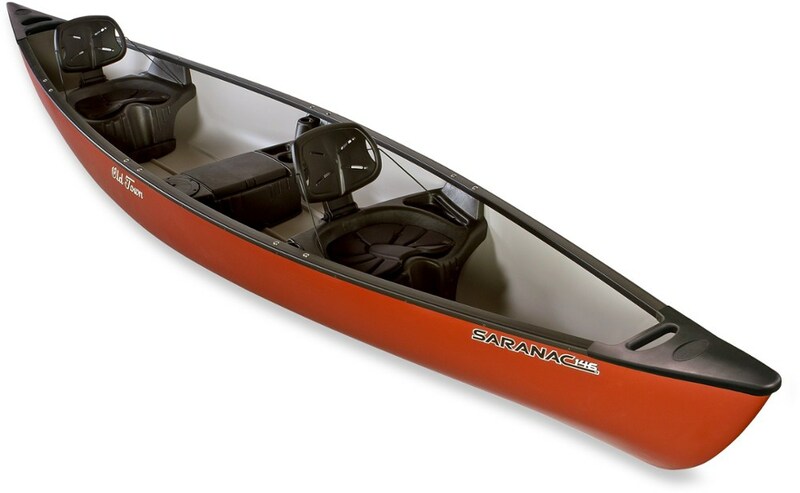 It has very good initial stability and seems roomy and comfortable (for a canoe). I have run class 3 rapids the the canoe, did very well both solo or tandem. I have plastic gunwales and ash thwarts, yoke and seats (cane seats or plastic webbing). The webbing seats seem to last longer than the cane seats. I have had to replace both front and stern seats. I used it on a lake system similar to the bwca only on a much smaller scale. We went back to the most remote lake which required an all day portage and some carries at almost 2 miles. I got back there but I won't do it again unless it's a lighter canoe. 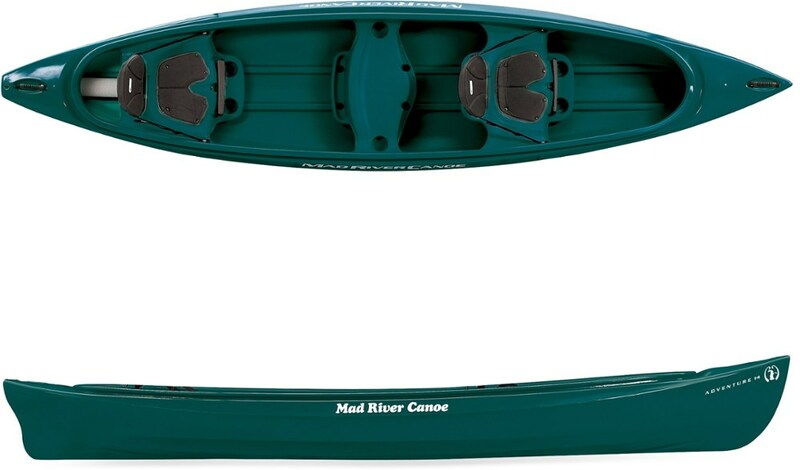 This canoe is best suited to river canoeing and camping. It holds plenty of gear. I have used this canoe every month and never had any trouble with it. Dave, the Disco is a good boat and many outfitters in the North have them in their rental fleets, as they are quite tough. The material is not ABS, as you note, but polyethylene, which is why the high weight. Poly is tough, but more difficult to repair than ABS. As well, getting outfitting to stick to poly is much more difficult than ABS or composite boats.